Ashen tree, Ashen tree, Pray buy these warts of me. That is a Leicestershire rhyme to accompany the charm, which was to take the patient to an ash tree, and to stick a pin into the bark. Then that pin would be pulled out, and a wart transfixed with it till pain was felt. After that the pin would be pushed back into the tree, and the charm spoken. Each wart was treated, a separate pin being used for each (Billson). An East Anglian cure was to cut the initial letters of both one's Christian and surnames on the bark of an ash that has its keys. Count the exact number of the warts, and cut the same number of notches in the bark. Then, as the bark grows, so will the warts go away (Gurdon; Glyde). Another method is to cross the wart with a pin three times, and then stick the pin into the tree (Northall). The Cheshire cure was to steal a piece of bacon, and to rub the warts with it, then to cut a slot in the bark and slip the bacon underneath. The warts would disappear from the hand, but would make their appearance as rough excrescences on the bark of the tree (Black). They could be treated by cutting notches in a HAZEL twig, one for each wart, which would disappear as the notches grew out of the twig (Newman & Wilson). They could be charmed by touching each one with a green PEA, which would then be wrapped in paper and buried.. As the pea decays, the warts will go (Allen). Or you could rub the wart with WATER PEPPER (Polygonum, hydropiper), and throw the plant away (Stout). The use of ELDER in wart charms is widespread, most of them being typical transference cures, like this Welsh one - you take an elder branch, strip off the bark, and split a piece off like a skewer. Hold this near the wart, and rub it either three or nine times with the skewer, while an incantation (of your own composing) is muttered. You pierce the wart with the thorn, and then transfix the elder skewer with the thorn, and bury them in a dunghill. The wart would rot away as they decayed (Owen). The Cricklade (Wiltshire) version was to strike the warts smartly with the elder twig, saying aloud, "All go away". Then you had to walk backwards towards the midden, and throw the twig in without looking (Richardson). Similarly, from Derbyshire - take a green spit of elder and a penknife. Touch one of the warts with the tip of the penknife, and then cut a notch in the elder stick. Then bury the stick after all the warts have been touched, and as the stick decays, the warts will decay also (Addy). Another Welsh cure was to rub the warts with elder leaves picked at night, and then burnt, after which the warts would disappear (Owen). Crossing the warts with elder sticks was also a popular charm (Sternberg). HONEYSUCKLE leaves were used, too, without the charm, for Lupton confided a sure cure by using woodbine leaves, "stamped and laid on ... using them six times ...". PEACH leaves are used, too. An Italian charm requires the leaves to be applied to the warts, and then buried, so that the leaves and the warts would perish together. Exactly the same idea is recorded in America, or you could cut as many notches in a young peach tree as you have warts. In seven days the warts would go. Some say that three notches have to fill up before the wart will be gone (Thomas & Thomas). The water that collected in the cups formed by the fusing together of TEASEL's opposite leaves, "so fastened that they hold dew and raine water in manner of a little bason" (Gerard), would cure warts (Curtis). There is a typical charm from Devonshire, using GROUNDSEL. Rub the wart with it to make it go. The leaves should then be thrown over your head, and afterwards they should be buried by someone else. As the leaves rot, so will the wart (Crossing). A POTATO could be used in the same way (Stout). 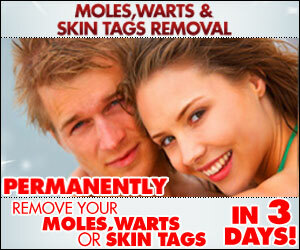 Similarly, warts can be rubbed with the furry inside of a BEAN pod. Sometimes one finds the relics of a charm attached to this. For instance, in Essex, there is the injunction to throw the pod down a drain after rubbing the warts (Newman & Wilson). So, also, with LIMA BEANS. Split one in half and rub it over the wart, and then toss the bean into a well, and the wart will disappear (H M Hyatt). HOUSELEEK can be rubbed on a wart (Newman & Wilson), and so can a leaf of THORN-APPLE, or the fruit of OSAGE ORANGE, whether it would be buried afterwards as a charm, or not (both H M Hyatt). An Irish charm was to get ten knots of BARLEY straw (or more usually ten slices of POTATO), count out nine and throw away the tenth. Rub the wart with the nine, then roll them up in a piece of paper, and throw them before a funeral. Then the wart would gradually disappear (Haddon). Or cut an APPLE in two, rub one half on the wart, give it to the pig to eat, and eat the other half yourself (Choape). Similarly, rub the warts nine times with an apple cut in two. Re-unite the sections, and bury them where no human foot was likely to tread. In Northumberland, the warts were opened to the quick, or until they bled, and then they were rubbed well with the juice of a sour apple, which was then buried (Drury. 1991). An American charm of the same nature involved cutting a CRANBERRY in half, rubbing the warts, and burying the fruit under a stone (Davenport). OATS are used, too. You had to take 81 stems (9 x 9, that is, a magical number), which are bumpy, like warts, binding them in 9 bundles of 9 each, and hiding them under a stone to await the decaying. A Cheshire charm using RUSHES involved taking a long, straight rush, tying three knots in it, and making it into a circle. It had to be drawn over the wart three times, while the required formula was recited. The wart would disappear within three months (Burton), which seems an inordinately long time to have to wait. OLEANDER is used for a wart charm on the island of Chios. The practice is to put a leaf on each wart, then, in the wane of the moon, the leaves are put under a stone in a riverbed. the patient has to go away without looking back (Argenti & Rose). SAVIN, bruised, fresh or dried, is still recommended by herbalists for warts (Fluck). The root infusion of TREE CELANDINE (Bocconia frutescens) has been used in Mexico to treat warts (Usher). Flowers [of MULLEIN]" for warts, and the powder of the dried root was also prescribed. CASTOR OIL will do, as well, and SNOWBERRY juice can be used, too, though in Kent, a modern belief is that the juice from the berries actually cause warts (Vickery. 1995). The Physicians of Myddfai prescribed SHEEP'S SORREL juice, "and bay salt, wash your hands and let them dry spontaneously. Do this again and you will see the warts and freckles disappear". DANDELION juice could be used, too. An Irish charm was to give nine dandelion leaves, three leaves to be eaten on three successive mornings. In Britain BASIL, mixed with blacking, has been used (Leyel. 1926). An ONION poultice was used in England to put on a wart (Drury. 1991), and there is a charm from Staffordshire - rub the warts with two halves of an onion, and then bury the onion (Raven). The same charm was used in America (Stout). BUTTERCUPS were also used,and Gerard said "... it is laid upon cragged warts, corrupt nailes, and such like excrescences, to cause them to fall away". Bruised BITING STONECROP has been used (Flück), and so has the juice of most of the SPURGES, though care has to be taken, otherwise blisters on the skin may be the result. A Victorian cure for warts is given as "the bruised leaves [of MARIGOLDS] mixed with a few drops of vinegar" (Dodson & Davies). The Romans were using the juice for just this purpose in their day, hence the old Latin name of Verrucaria for Marigolds. CINNAMON has been used for warts. The practice in Illinois was simply to cover the wart with cinnamon powder in order to get rid of it (H M Hyatt). Navajo Indians used to burn some powdered SUNFLOWER pith on the wart (Wyman & Harris). Other groups would use the juice of the fresh fruit of SMOOTH SUMACH, and also for skin diseases like tetter or ringworm (Lloyd). Getting rid of warts by rubbing a snail on them and then impaling the snail on a BLACKTHORN thorn used to be a common practice; or, from East Anglia, you could rub the wart with a green sloe, and then throw the sloe over your left shoulder (Glyde). They are both transference charms. An Irish cure is to prick them with a GOOSEBERRY thorn passed through a wedding ring (Fernie). The Scottish practice was to lay a wedding ring over the wart, which was then pricked (through the ring) with a gooseberry thorn. Ten thorns were to be picked, the other nine simply being pointed at the wart, then thrown over the left shoulder (Beith). Thus far, the emphasis has been on getting rid of warts, but one superstition from Cornwall warns us that picking the flowers of SHEEP'S BIT will actually cause warts (Vickery. 1995).